The sixth-graders, divided into teams, are having a heated debate on zero to the zero power. According to their math books, the answer is undefined. The majority of the students think the result of this action is nothing. Their opponents, however, counterpose by saying that if one thing affects another, the result cannot be nothing. Mathematical arguments slowly turn into existential debates. Pretty soon students start talking about current events such as the effects some bills could have on people’s everyday lives. This is a math class, but it goes way beyond any mathematical theories and hypotheses. Students talk about the anti-government protests of 2013, the State Agency for National Security, corruption, daily injustice. They talk about personal accountability and how each and every one of us is capable of shaping our living environment instead of waiting for it to shape us. 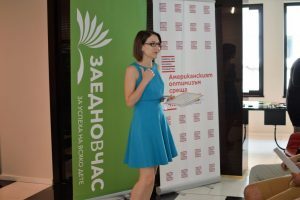 “The one thing I can’t stand is injustice – in any way, shape, or form,” – this strong conviction expressed by their math teacher, Georgi Stoev, is the main reason for him to motivate his students to take action and look for possible solutions to the problems they come across on a daily basis. Georgi is a second-year teacher in Plovdiv, at Secondary School “Lyuben Karavelov”. 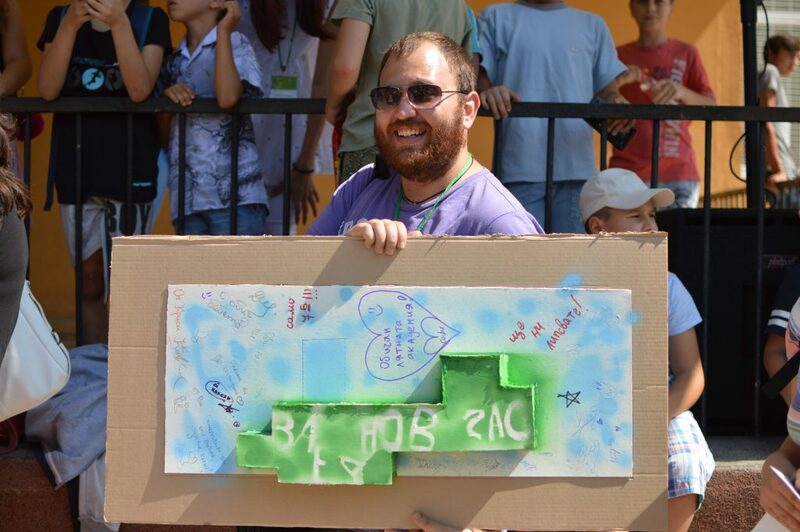 He is also a participant in Teach For Bulgaria’s program. He has a degree in architecture, but a few months of tutoring students in his home village of Strandzhevo near Kardzhali have convinced him to become a teacher rather than work on blueprints sitting at a desk all day. When he first started teaching Georgi noticed that some of his students were intimidated by other teachers or parents. They also did not realize they were responsible for their own actions. “They could only speak the language of fear,” the teacher thought. Ever since, he has been trying to get his students to understand that this is not the right mindset, if they want to grow up and lead fulfilling lives. He has been doing this by “taking small steps”, as he likes to put it. Georgi and his sixth-graders organized and started a school government last year. This year students have the opportunity to join different clubs based on their interests. The government is made up of all student clubs. Children are in charge of planning all activities and volunteering is a mandatory one. “We are trying to change the image of our school, we want to be well-known for how engaged our students are,” Georgi explains. He has experience in civic engagement. Georgi was part of “Ranobudnite Studenti” and the group which initiated the “occupation” of the University of Architecture, Civil Engineering, and Geodesy during the anti-government protests of 2013. The seventh-graders are socially-engaged directors, screenwriters, and actors. Their initiative Capture Plovdiv 2019 aims to solve problems with art – short films on different topics. Students work in groups on the concepts, screenplay, shooting, and editing of the footage. The Music Speaks group, for example, explores how music leads to meeting new people and making new friends. The short film they are working on tells the story of a few competitors in a music talent show, but the moral is that winning isn’t everything. 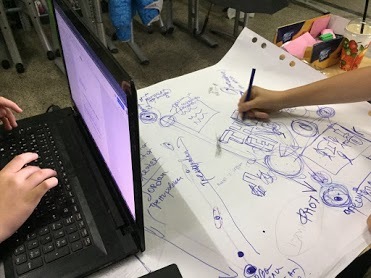 Capture Plovdiv 2019 is an example of a long-term project based on students’ critical needs and interests. 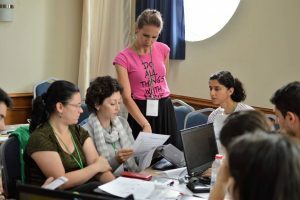 All Teach For Bulgaria participants engage their students in similar projects. “My students have reached a certain level of performance and don’t experience any difficulties with basic literacy, for example. What they need to do now, however, is take everything they have learned and give back to their community,” Georgi explains the goals of their project. The students of Secondary School “Lyuben Karavelov” are very interested in art and culture. Georgi’s favorite form of art is cinema. 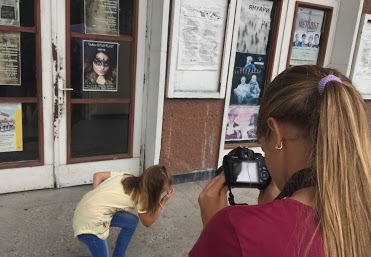 This is how Capture Plovdiv 2019 started and the first short film trailers have already been shot, edited, and posted online. The students of Secondary School “Lyuben Karavelov” also participated in a professional video shooting with a professional crew at the beginning of December. The video was produced by No Blink Studio – young actor Alek Aleksiev is part of their team. Even though he sometimes still hears “Teacher, I don’t understand.” in class, Georgi is convinced that there has been a huge difference in his students’ mindsets, especially after they started the school government and Capture Plovdiv. They have become more engaged in class and have been willing to take on more challenging and different tasks. They have come to realize that it is not just the teacher who is responsible for what happens in class – they are responsible as well. Georgi’s students are not the only ones who develop their skills in class. “Teaching helps me develop skills which I don’t think I could develop in any other way,” the math teacher is adamant. He has become more patient, he listens more and tries to understand; he tries to explain difficult concepts in a way that helps all students understand – skills and mindsets crucial to any career nowadays. Georgi shares that his expectations of working as an architect clashed with the reality of his actual experience. He has, however, learned a lot and uses his previous experience every day in the classroom. Architecture has taught him how to express his thoughts more clearly and how to be more creative when teaching. “They can see my energy and enthusiasm when I teach geometry and they get excited as well,” Georgi has noticed. He hasn’t completely given up on architecture and he says he might go back to it someday. If there is one thing he is definitely going to keep building, it is the foundations for him and his students to find the best possible way to grow. If you’d like to follow in Georgi’s footsteps and work towards positive change in Bulgarian education, apply to participate in Teach For Bulgaria’s program today.